Ginnie and the Mystery Light. 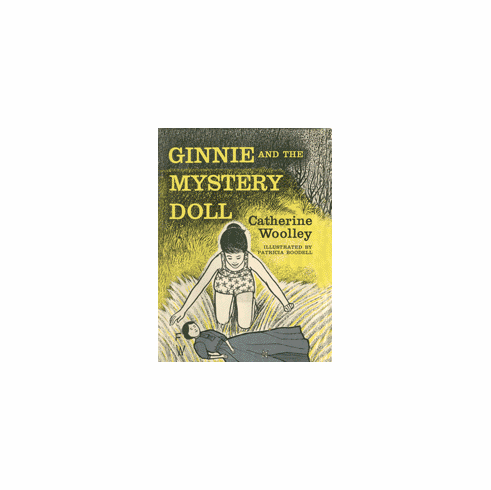 Ginnie and the Mystery Doll. The name of the doll is Lady Vanderbilt and she is very beautiful. Her gown is of lavender taffeta, and around her neck she wears a pearl. When Ginnie and Geneva heard about Lady Vanderbilt, they longed to see her, but the doll had disappeared thirty years ago and no one knew where she was. Then, suddenly, she appears at a church auction, and for a tantalizing moment the girls think she will be theirs. But a twist of fate takes her away once more and it will take all of Ginnie's determination to find her and solve her mystery! Ginnie and the Mystery Cat. When Ginnie hears that her parents are planning a tour of Europe, she begs to go along. And taking along best friend, Geneva, makes the trip sound all the more exciting. Not long after they arrive, Ginnie notices suspicious things happening wherever they go. Clutching the good luck cat figurine she had acquired, she dismisses her uneasiness. From Portugal to Spain then on to historic Greece, the trip provides one new experience after another. The girls visit museums such as the Prado in Madrid, enjoy horse-drawn buggy rides through Old World city quarters, and of course, sample delicious new foods. Nevertheless, the nagging idea lurks that the party is being followed. When a confrontation occurs, Ginnie is most surprised to find herself a heroine! Ginnie and the Mystery Light. Ginnie is invited to spend the Christmas holidays with Geneva in the South. Though Ginnie hopes for excitement, she doesn't bargain for anything as spooky as the mystery light on Lonesome Bay Road. Still, she is determined to find out what causes it. Is it the ghost of a Civil War slave looking for his wife? Is it related to black magic, voodoo, root doctors? And who is the flamboyant Doctor Turkey? Before Ginnie helps to solve the baffling riddle, she learns something of the nature of superstition, ignorance, fear - and evil. Based on an actual experience of the author, in which she participated in a university-sponsored investigation of a similar legendary light, this story is full of surprises and will keep its readers guessing from start to finish.